Cisco redefined networking with the world’s first intent-based networking system. And Intent-based networking is the future of networking – fundamentally changing how we think about networks and empowering IT to deal with disruptions caused by cloud and IoT. What are main trends for the networking industry in the new 2018? 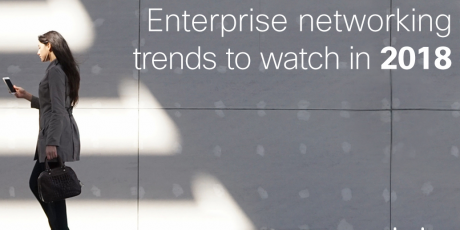 Scott Harrell (Senior Vice President and General Manager of Cisco’s Enterprise Networking Business) shared his a few thoughts on trends in 2018. Next gen network analytics goes mainstream–Network assurance powered by next-generation analytics will move from a mostly wireless-only focus to a more holistic view. SecOps and NetOps lines blur–IoT will take the #2 slot behind Ransomware as a top area of corporate and public concern. This will ultimately force companies to reevaluate their security architectures and drive SecOps (Security Operations) and NetOps (Network Operations) teams closer than ever before. Finding balance between security and privacy–Selective or intelligent decryption will grow as a requirement. Automation as a competitive differentiator–Automation of IT across the enterprise network will become a key competitive differentiator for companies. Computing is pulled to the Edge–Distributed computing traction will continue to grow. There is so much more we could discuss and debate, what are your thoughts on where 2018 will take us?